I graduated from the University of Chichester in 2007 with a First Class honours degree, and am a fully accredited and insured member of the Society of Sports Therapists. The degree course involved all aspects of injury diagnosis, treatment and rehabilitation, from working with individual’s post-surgery right through to ‘full fitness’. Since graduating I have worked in the NHS, and at a number of sports injury clinics alongside other injury specialists within the Hampshire area, before opening up The Body Reset Clinic in 2013. As well as clinic work, I also lead the medical team at Redingensians Rugby Club (National 3) providing assessment, treatment and pitch side first aid trauma management cover to both amateur and professional players who sustain a wide range of injuries. 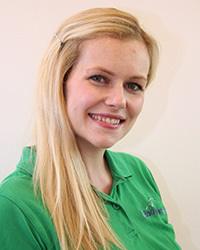 I am continually keeping up to date with new Physiotherapy and Sports Therapy techniques and attend regular training courses to ensure I offer the best service. From the knowledge and experience I have gained through both my sport and professional career, I understand first-hand the desire to return back as safely and quickly as possible, to optimum levels of functional, occupational and sport specific fitness after injury. My passion and commitment for health and fitness, along with my belief in a proactive approach to treatment ensures that essential high treatment success is always achieved.I am a keen gym fanatic with a great desire to keep fit, taking part in regular personal training sessions and more recently kick boxing classes. I have also rekindled my love of singing for which I have regular lessons.Working together we can get you back on the rapid road to recovery so arrange a consultation for treatment today.